It is time for Sharing Saturday!! This is a link party to share all of your child-oriented crafts,crafts made for kids, activities and lessons as well as your parenting and/or teaching posts. On Sunday night we also host Crafty Weekends for all your crafts (done by any age), patterns, and craft product reviews! It is the perfect place to share your creative side!! And the Creative Kids Cultural Blog Hop lasts all month for anything cultural or diversity posts and a new one starts on Sunday morning!! Be sure to join us at it!! Thank you to everyone who shared at last week's party!! Since next weekend is Easter weekend and I celebrate with my parents early (and with Steve's mom after church on Sunday), this party will last for two weeks!! Be sure to come back to share again next week!! I always love seeing what everyone has been up to and your creative ideas!! Our features are just a sampling of them so if you haven't checked them all out, you should! 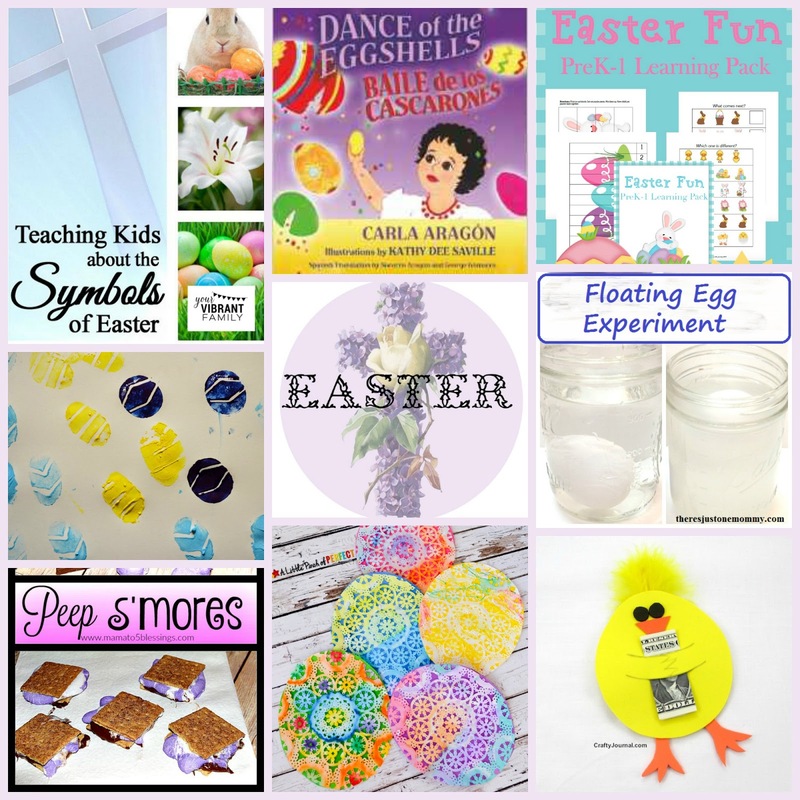 The features this week are Easter Features and Everything Else. 2) From Multicultural Children's Book Day: What do you look for in an Easter picture book? 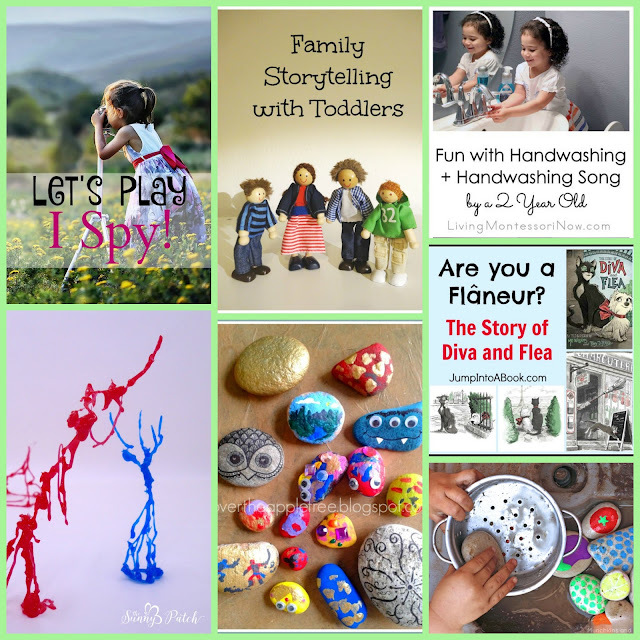 6) From Jump Into a Book: Are you a Flaneur? Gosh, I hope so! 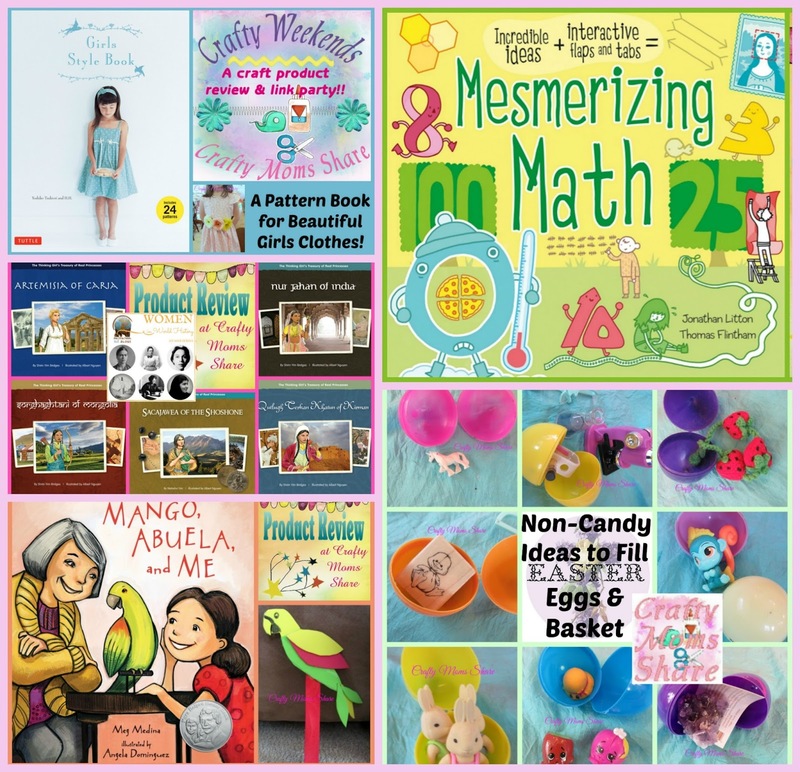 This week for Crafty Weekends I shared the start of Hazel's Easter dress and review of the book the pattern came from, we shared our Women's History Month post (has link party for posts about women): the Thinking Girls Treasury of Real Life Princesses, Mesmerizing Math, a sweet book about family and learning a new language, and some non-candy ideas for filling the plastic Easter eggs. 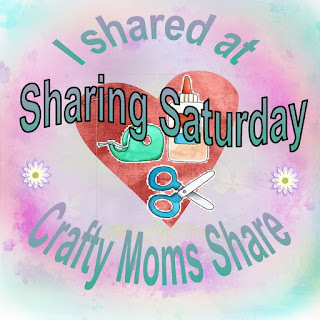 Sunday morning a new Creative Kids Culture Blog Hop will begin and Crafty Weekends (for everything crafty!) is on Sunday night! !